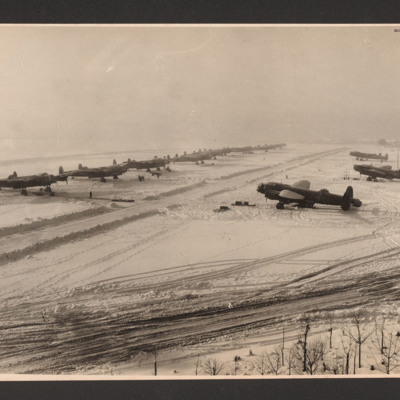 Snowy landscape, taken from an elevated view point showing large number of Lancasters lined up either side of the cleared taxyway. 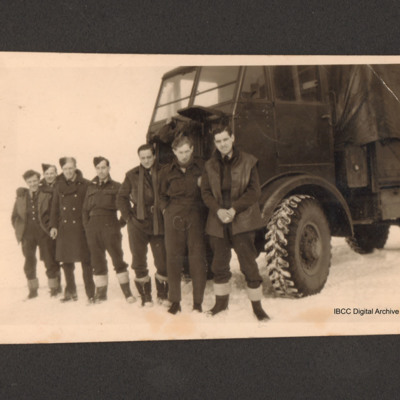 Some personnel are standing in the snow. 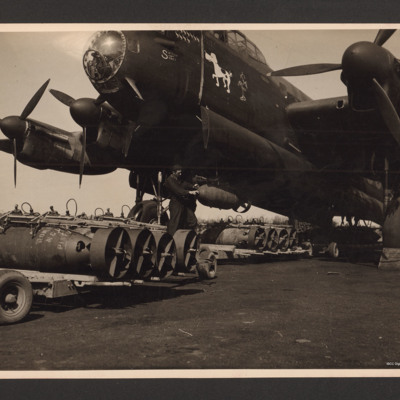 Engine trestles, bomb trolleys with bombs, and hangars in background. 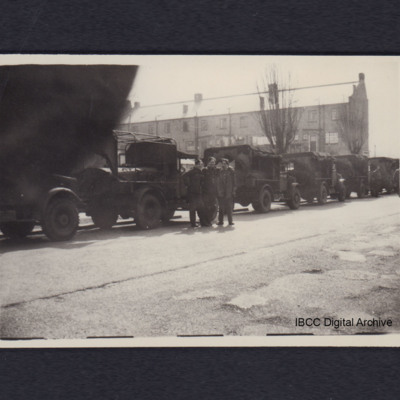 Snowy landscape with five Lancasters on their dispersals, in the foreground tractor and bomb trolley with large bomb, armourers waiting to load. 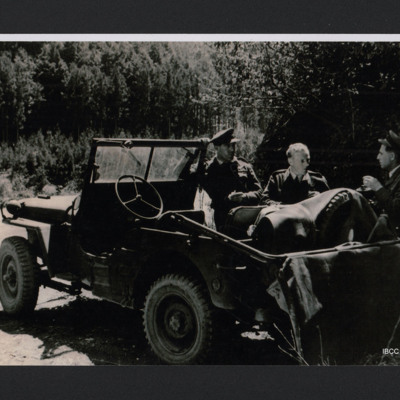 The jeep is in the foreground and the three airmen are in discussion behind it. 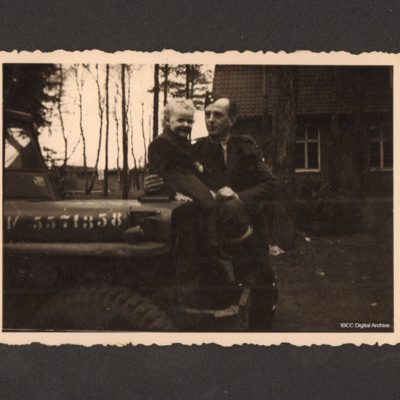 An airman is holding a child sitting on the bonnet of a jeep numbered 5571358. Behind are trees and a brick house. 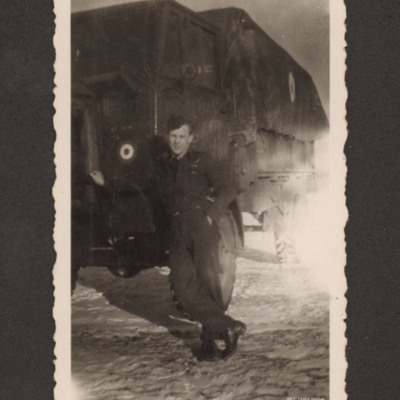 An airman is leaning on a lorry with Royal Air Force roundels. The ground is covered by snow. 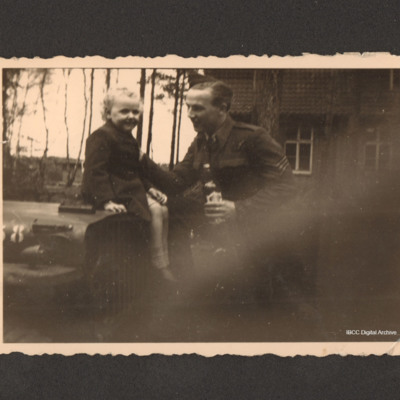 An airman holding a bottle is also supporting a child sitting on the bonnet of a jeep. Behind is a brick house. 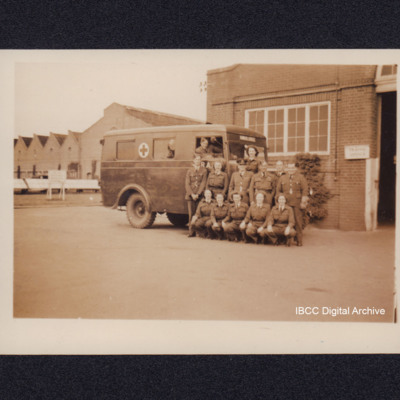 Seven airmen are standing in a line in front of a lorry. The ground is snow covered. 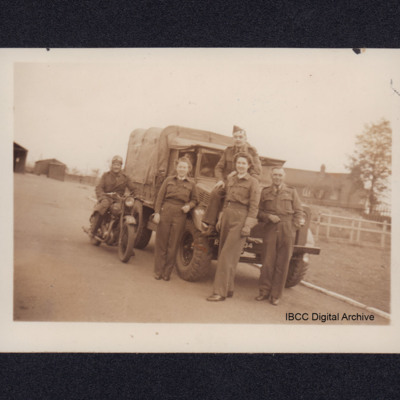 On the reverse 'Taken in Germany at Fassberg 26/2/47'. 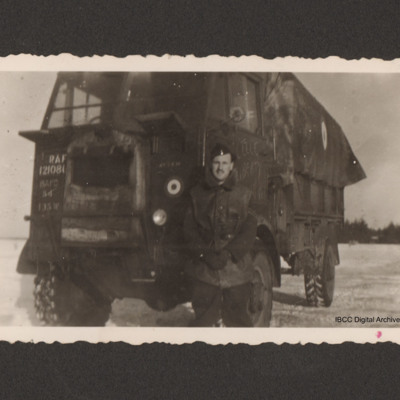 An airman is standing in front of a lorry. The ground is snow covered. 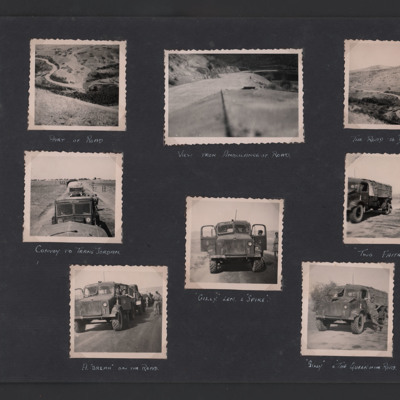 A convoy of small lorries including a tanker parked at the side of road. 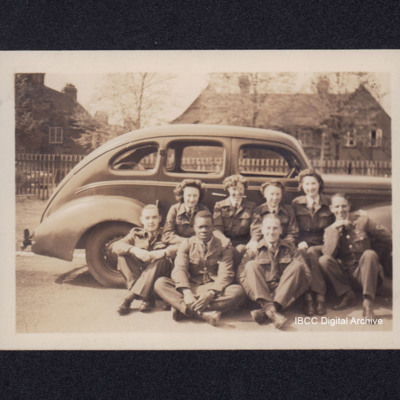 In front centre are three airmen standing. In the background a row of houses. 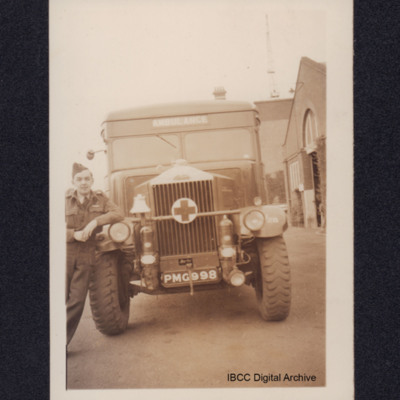 An airman wearing battledress and side cap leaning on the headlamp of an ambulance registration 'PMG998'. In the background right, buildings and a mast. On the reverse 'John'. 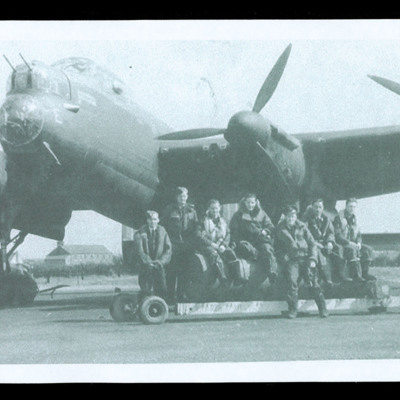 Front quarter view of Lancaster parked with bomb doors open. On the nose 'G' and many rows of bomb symbols. 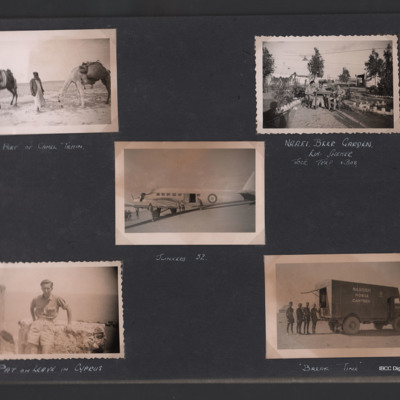 Background left a 4000 lb bomb on trolley. 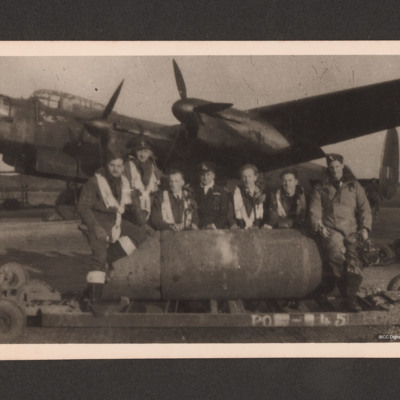 On the reverse '50 Sqd Skellingthorpe, G + 1 x 4000 lb bomb. AVC. Doddington Road end'. 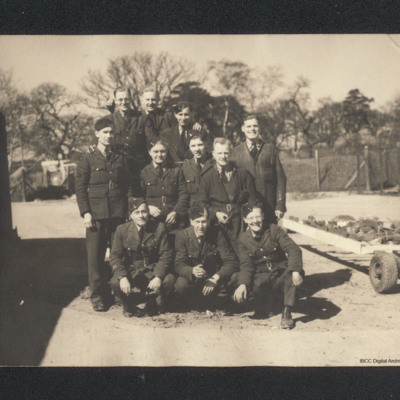 Sixteen airmen, mostly wearing tunic, in three rows sitting and standing on a bomb trolley. Background left a building and trees behind. 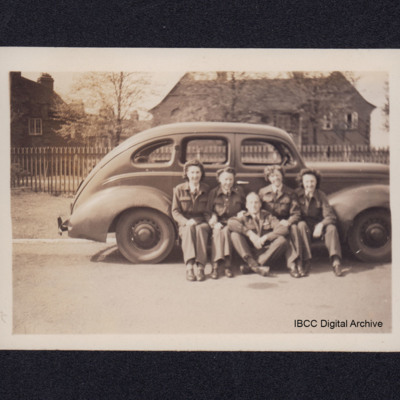 On the reverse '22.4.42, 50 Sqdn Armoury. Skellingthorpe'. 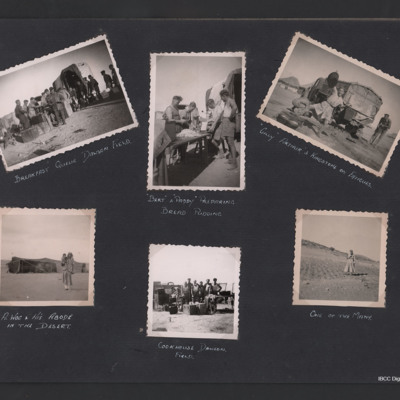 Albert Cluett is second row second from the right.